Mesa, Arizona, is a city of about 450,000 people located 20-miles east of Phoenix. 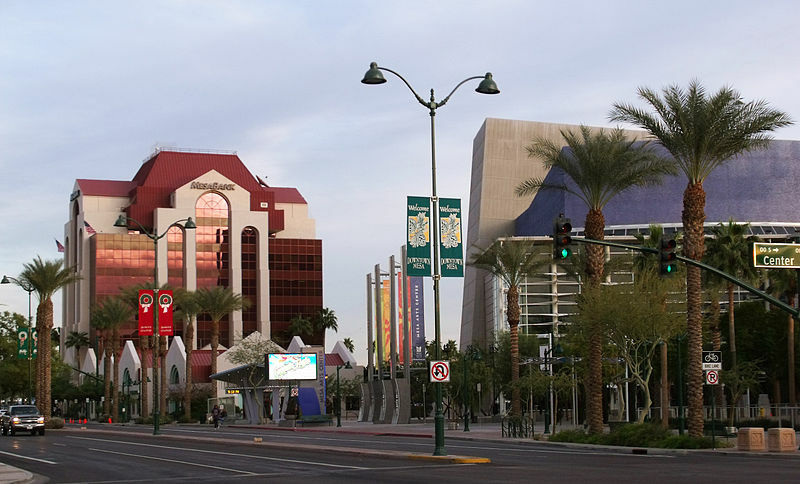 Mesa's population has tripled since 1980, and it is now the 38th largest city in the country. Two millennia ago, the Hohokam people built the most advanced canal system in what later became known as the New World. Some of these canals were 90-feet wide and 10-feet deep, and they extended 16-miles out into the desert. By 1100 A.D., the Sonoran Desert was a 110,000-acre agricultural area. Some of the hundreds of miles of canals that they eventually built are still used to this day. In the late 1800s, clashes between U.S. troops and the Apaches resulted in settlers moving into the area. Mesa City was established as a one sq-mi community in 1878, and a school was constructed in 1879. Mesa's population was 300 when it was incorporated in 1883. Falcon Field and Williams Field added military families to the area during World War II. The arrival of air conditioning spurred growth and tourism, and the aerospace industry was a prime impetus to growth in the 1960s and beyond. Riverview Park has re-opened following an extensive renovation. Cubs Park is now the new home of the Chicago Cubs spring training. Owners of Mesa AZ real estate can enjoy the extensive facilities which include a spray ground with numerous water features, shaded picnic areas and an urban fishing lake. The play area includes a 50-ft Genesis climbing tower, a 60-ft long caterpillar mesh rope climbing area, and separate playgrounds for those ages 2-5 and 6-12. 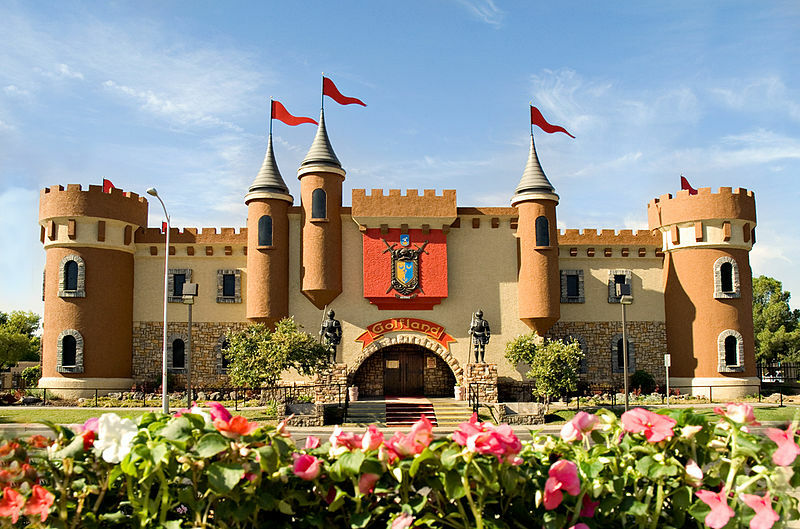 Every day of the year, families that invest in Mesa real estate have the option of enjoying Golfland Sunsplash, a major amusement park right in Mesa. In addition to state-of-the-art waterslides, there is a wave pool, elaborate miniature golf courses and much more. For ten years, the Mesa Arts Center has hosted the Mesa Arts Festival in mid-December. Two stages highlight both local and national musical talent. Original works of art are offered by well-known exhibitors. Children are accommodated at the Bookmans Family Activity Area. The festival is timed perfectly for those wanting to seek out perfect gifts for the holidays. Celebrate Mesa is a free festival promoted by the city at the end of April. Music, arts and crafts, and carnival rides are all a part of this popular event held at Pioneer Park. A knowledgeable Mesa real estate agent can be indispensable when the prospective Mesa home buyer is getting acquainted with the several thousand Mesa properties that may be for sale at any one time. The Mesa homes for sale run the gamut from value-priced condos to multi-million dollar estates. In-ground pools often accompany 6,000 sq-ft newer residences with multi-car garages. These million dollar homes for sale in Mesa offer the latest amenities and energy-efficient designs. Younger families seeking starter Mesa homes can work with a Mesa realtor to identify two and three-bedroom Mesa AZ homes that are very affordable. The recent growth of Mesa means that much of the residential real estate in Mesa is quite modern.